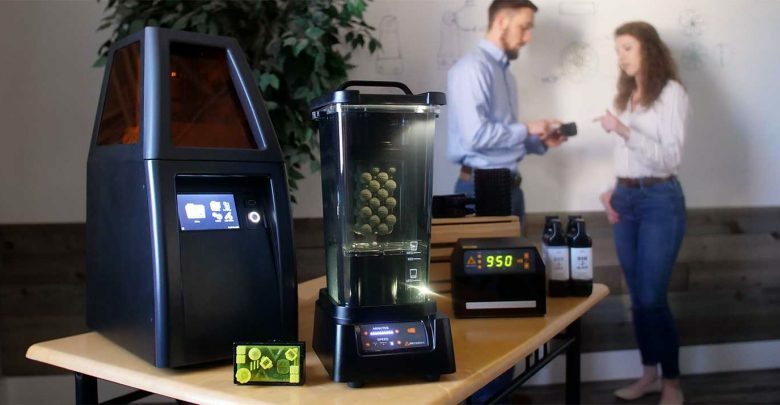 3D printing solutions company B9Creations is aiming to improve and automate post-processing for resin-based 3D printing with the release of the B9Clean. The new product, being presented at the AGTA Tucson trade show this week, enables users to post-process 3D printed parts with no mess and minimal intervention. Based in South Dakota, B9Creations offers a range of 3D printing products, including the B9 Core Series LED 3D printer, the B9Creator v1.2 3D printer, the B9 Scan 350 3D scanner and various materials, software and accessories. In the latter category, the company’ s latest release is the B9Clean, an automated post-processing machine for 3D printed parts.